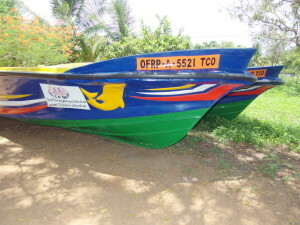 Kuhani Aadivasi families live in 11 villages in Muthur, Trincomalee District. Assist RR visited some of these villages, and spoke with the villagers to carry out a need assessment in 2017. These families were displaced in 2006 and became IDPs. They were resettled in 2009 in alternative lands. Their livelihoods are farming, collecting honey and firewood, hunting, and fishing. However, hunting has been banned by the government. These families are not given Samurthi handouts, although all these families live below poverty lines. These families are struggling for their survival due to lack of support and mothers do go begging in Trincomalee town. They desperately need assistance to improve their livelihood. 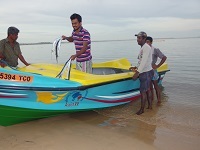 Further to Assist RR’s appeal to help these families, Tamil Forum Malaysia (TFM) came forward and agreed to fund 10 water pumps and 5 sets of engine boats and nets. Ten water pumps were handed over to 10 families from these villages in January 2018. With the generous support of TFM, Assist RR have now donated 5 sets of engine boats and nets at a cost of Rs 565,000 per set in April and May 2018. 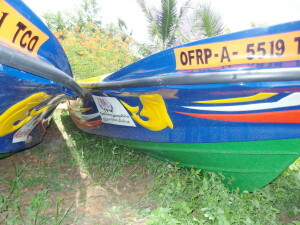 Each set of engine boat and nets will be shared by 5 families. In total, 25 families will benefit form TFM’s kind support to the needy families from these villages. This will enable these 25 families to stand on their own feet and to lead relatively decent lives in the future. Assist RR would like to express its gratitude to TFM and its members for their kind and generous support to innocent victims of war in the North and East of Sri Lanka. It should be noted that TFM has been continuously providing assistance to needy families in Sri Lanka.